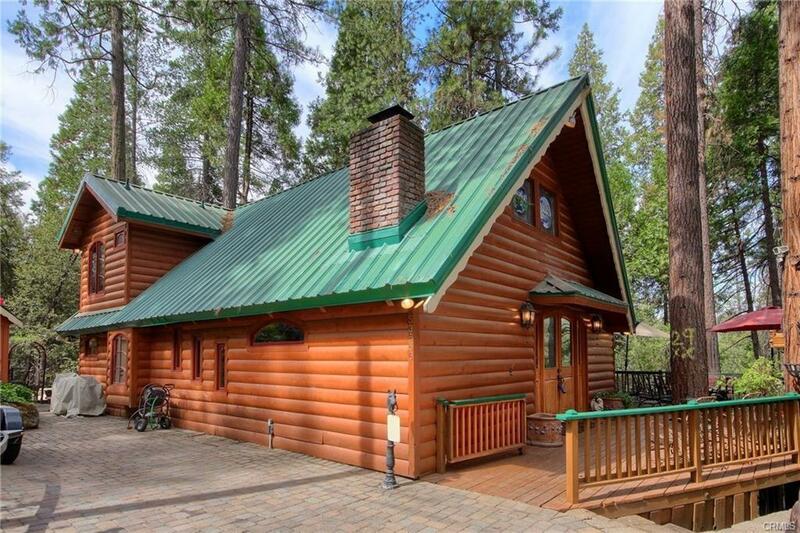 An amazing custom cabin with a boat slip on Acorn Dock! 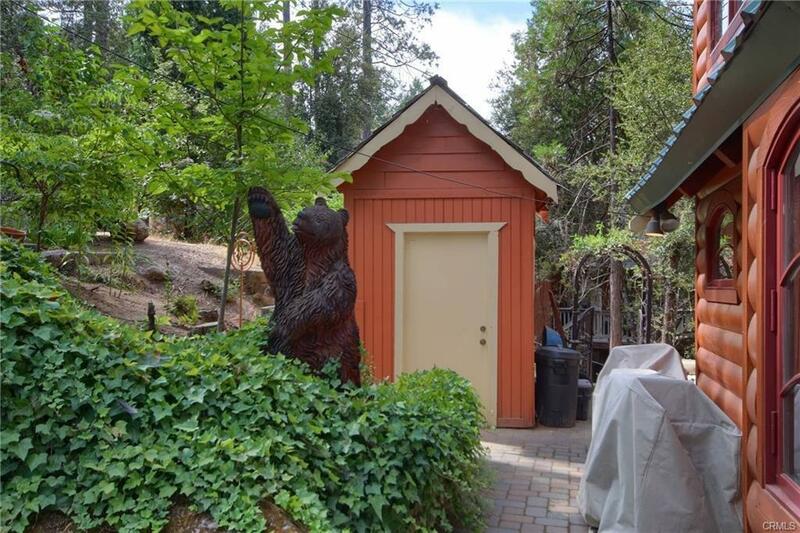 Completely remodeled in 2008, with slate flooring, granite countertops, custom cabinetry, replica antique stove, leaded and stained glass windows, copper sinks, Mr. Ed door, island with prep copper sink, carved bears and eagles in stair posts. 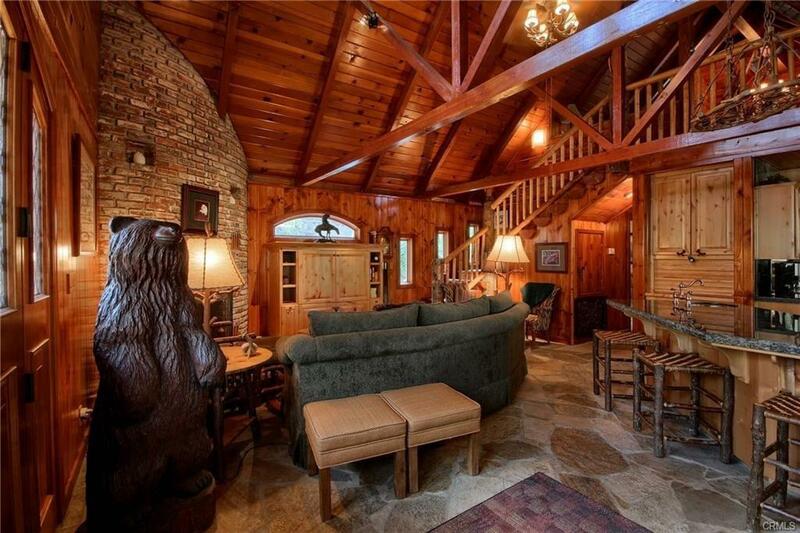 Vaulted ceiling, gorgeous brick carved fireplace. Custom curved windows, slate showers, custom sinks in both bathrooms. Master suite upstairs has private balcony, sitting area and soaking tub in the master bath. 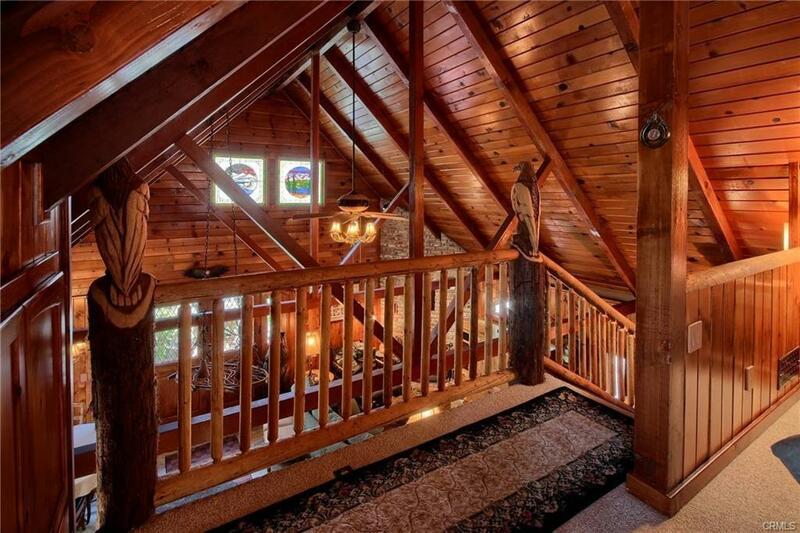 Two bedrooms and one bath on main floor are warm and inviting. Large deck and partially fenced yard are additional perks, paver driveway, some lake views too! This gorgeous and lovingly remodeled home is sure to sell quickly!